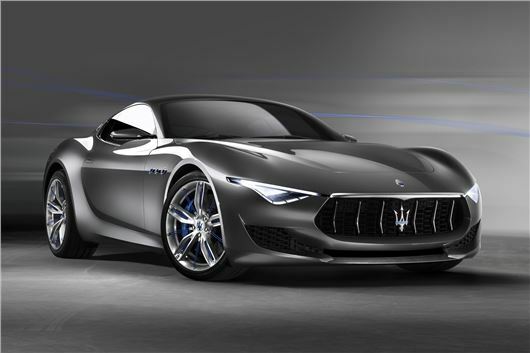 The Maserati Alfieri concept car is set to make its UK debut at the 2014 Goodwood Festival of Speed, alongside iconic cars from Maserati’s past and a new version of the GranCabrio MC Stradale built to celebrate the Italian marque’s centenary. Indeed to celebrate its 100th birthday, Maserati has been given its own class in the hillclimb. This will feature more than 20 different models from the brand’s past, including the 1926 Tipo 26M, the 1960 3500GT and the 1964 Mistral Spider. Maserati will also show off the original Quattroporte and Ghibli alongside their modern counterparts. Maserati also has its own class in the Concours d’elegance competition, with cars like the Maserati A6GCS Berlinetta, the 150 GT Fantuzzi Spider and the A6 1500 Pinin Farina.